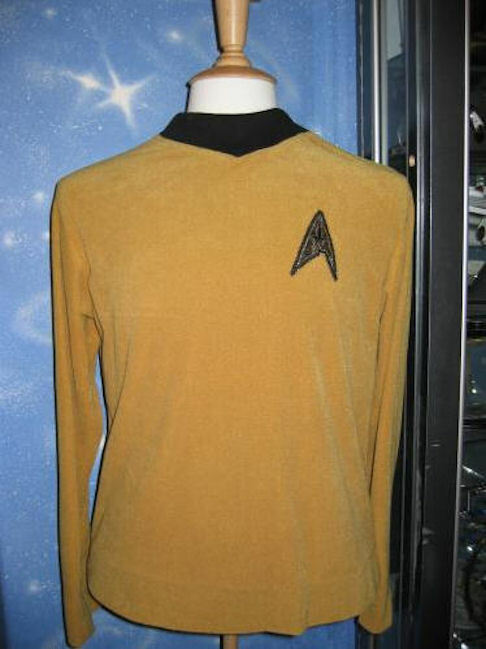 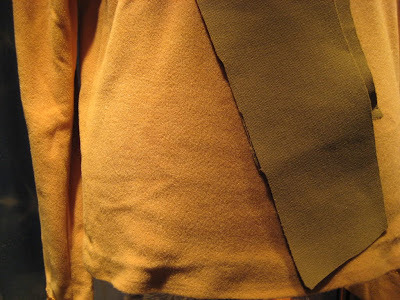 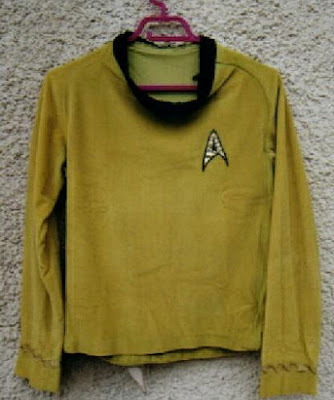 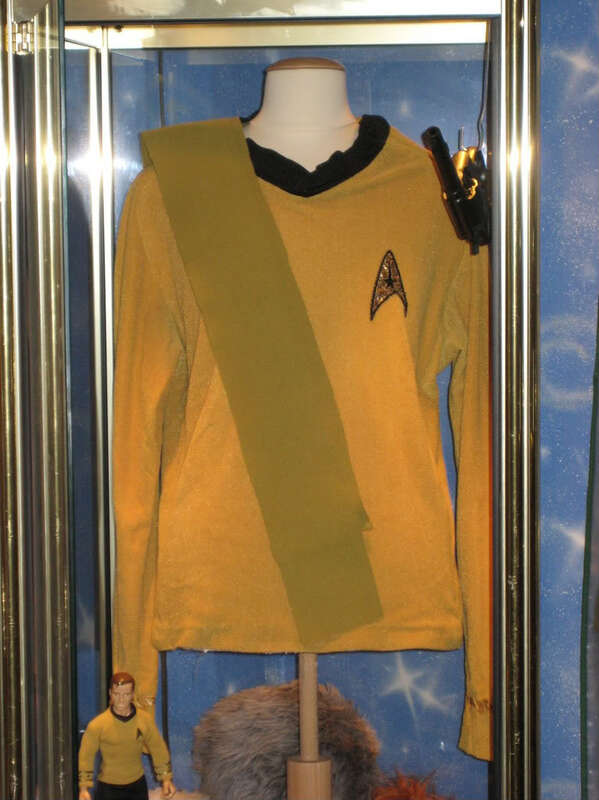 Below are some detailed photos of a screen-used velour command tunic from Star Trek: The Original Series that may have been worn by William Shatner as Captain Kirk prior to being redressed to the rank of Lieutenant. 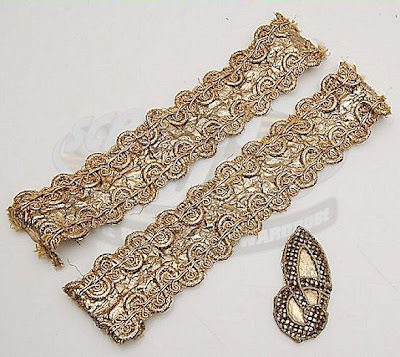 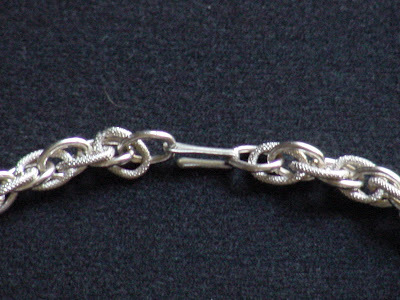 The closeup views of the cuffs clearly show the imprints from more elaborate braid which was previously affixed to the costume. 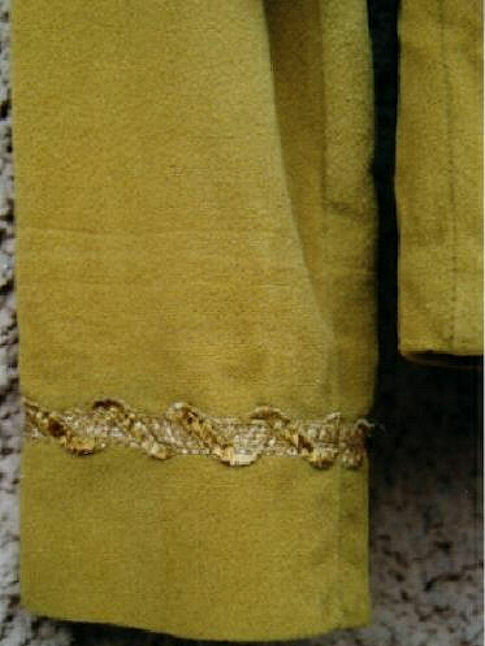 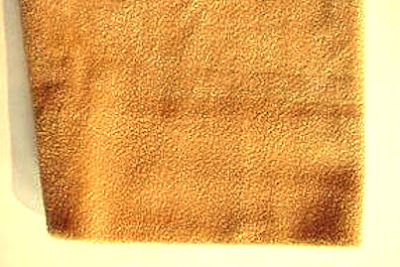 The traces of multiple bands of decoration are indicative of the patterns seen on Captains and Commodores tunics. 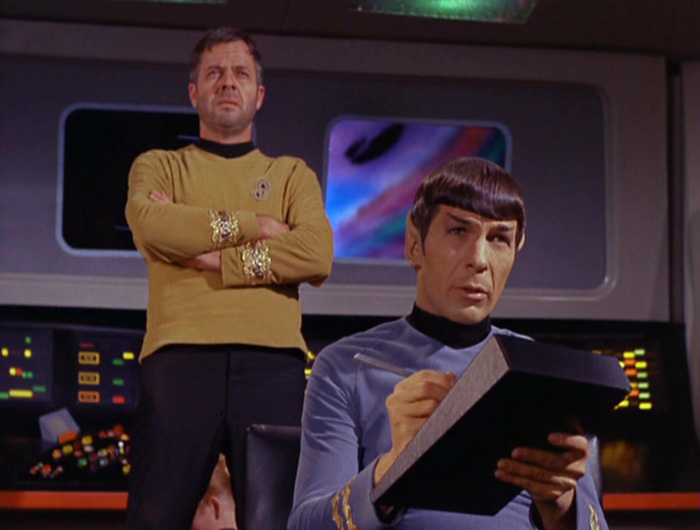 Photos of authentic TOS Commodore braid and insignia, worn by actor William Windom as Commodore Matt Decker in the 2nd season episode "The Doomsday Machine" (first airdate: Oct. 20, 1967) are shown following the tunic images. 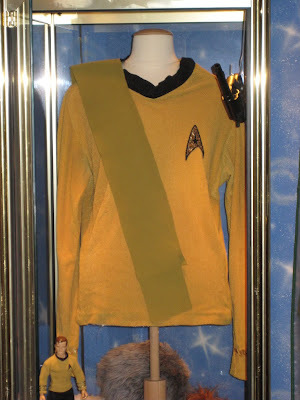 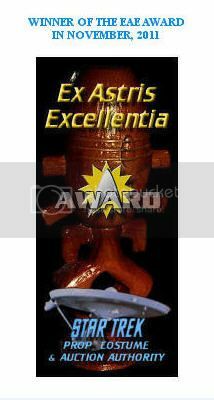 Many thanks to long time Star Trek fan and collector Paul in France for his kind permission to display these photos. 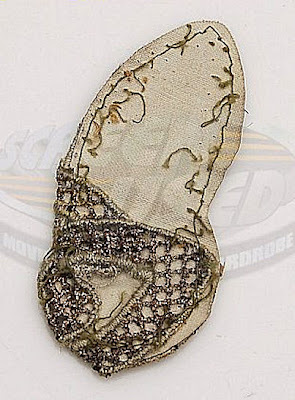 Below are some detailed photos of a screen used Command tunic from the 1st season of Star Trek: The Original Series. 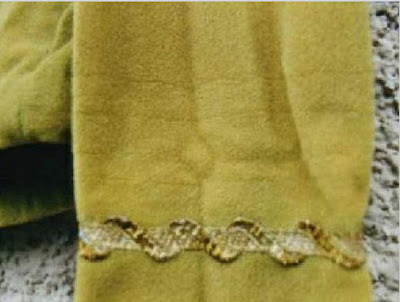 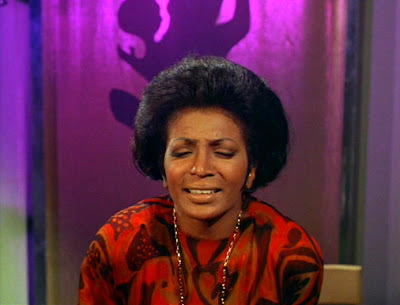 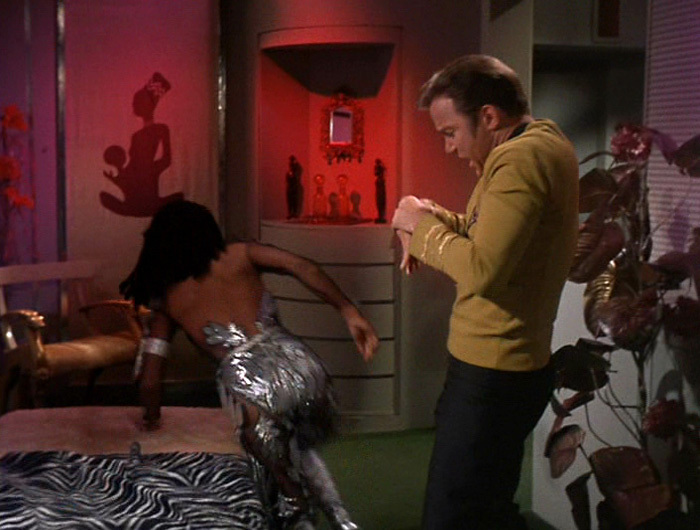 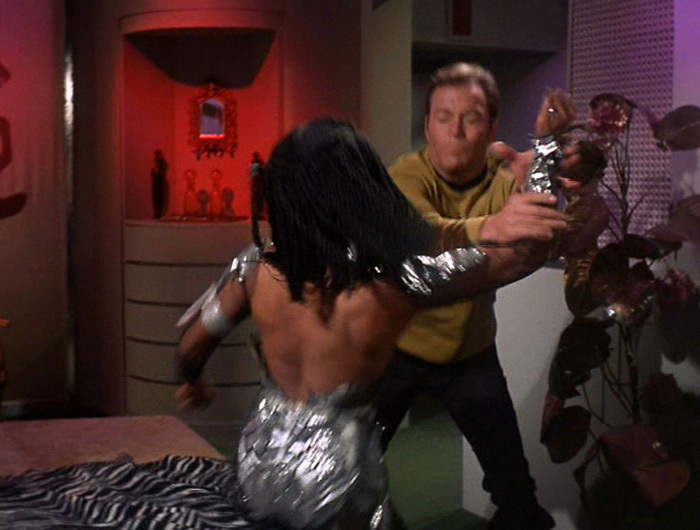 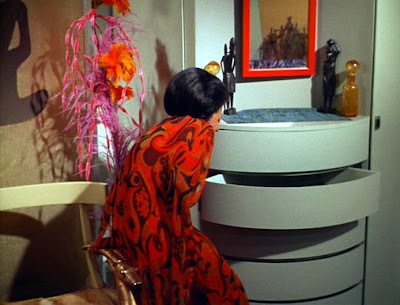 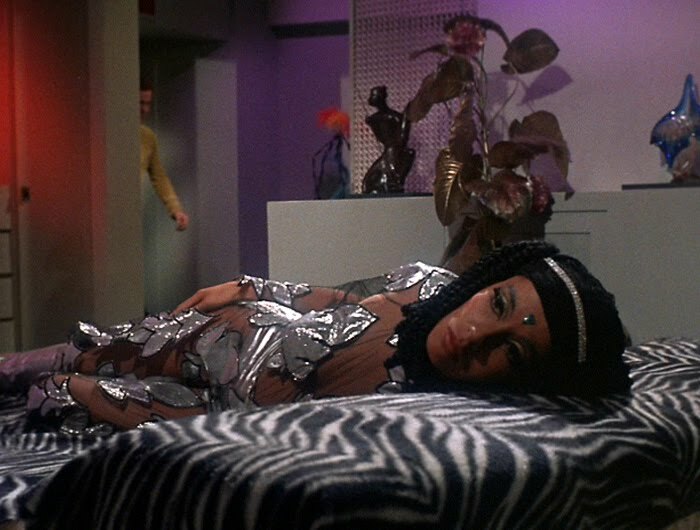 This costume was constructed from a gold velour fabric which had a tendency to shrink, sometimes considerably, during cleaning - and this behavior eventually prompted the wardrobe department to switch to a more stable nylon diamond weave double knit fabric for the creation of the 3rd season Starfleet tunics and dresses. 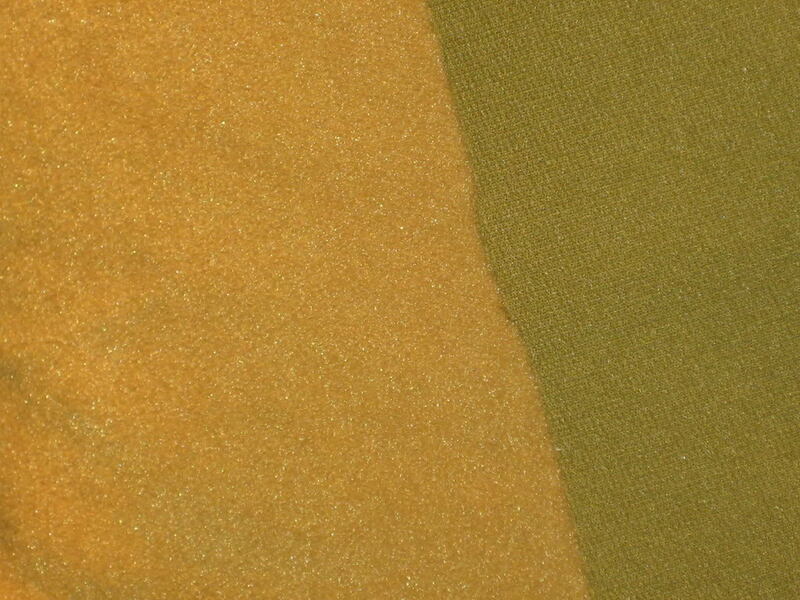 In the last 3 photos a bolt of Phase II square weave command fabric, which perfectly matches the lime green color of TOS 3rd season command fabric, is shown side-by-side with the gold velour, for color comparison purposes. 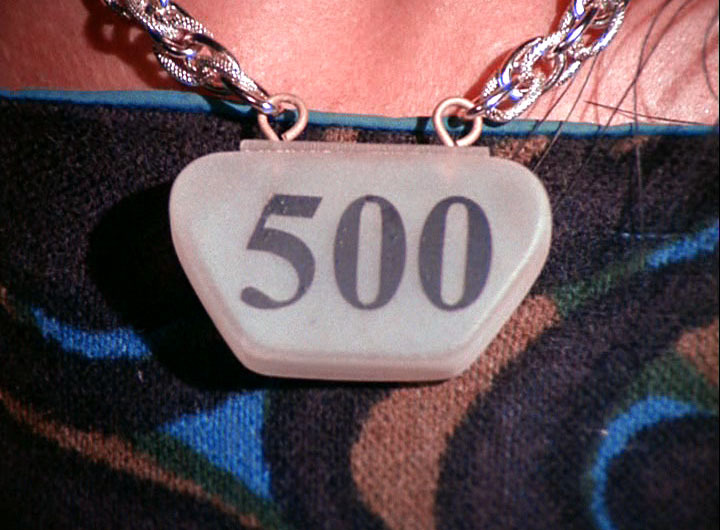 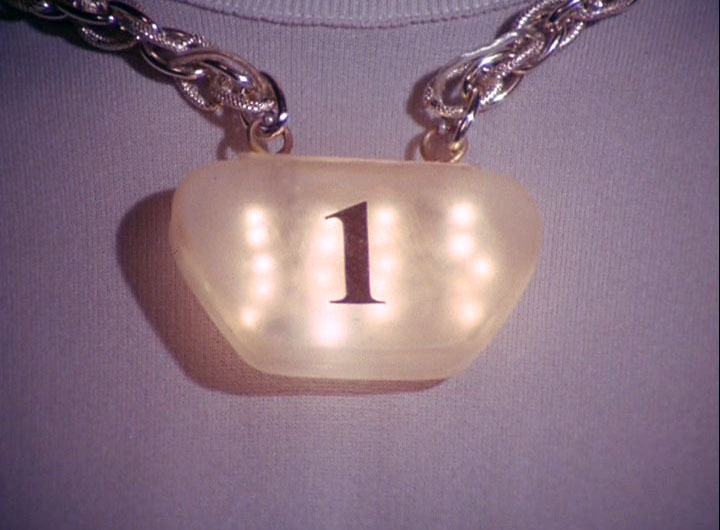 Star Trek: The Original Series Android Necklace from "I, Mudd"
Presented below are some detailed photos of an android necklace used in the 2nd season TOS episode "I, Mudd" (first airdate: Nov. 3, 1967). 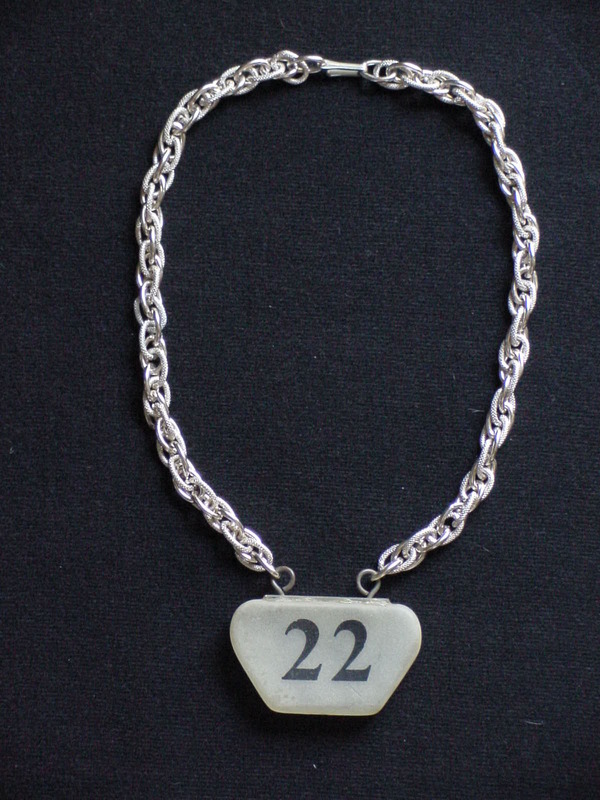 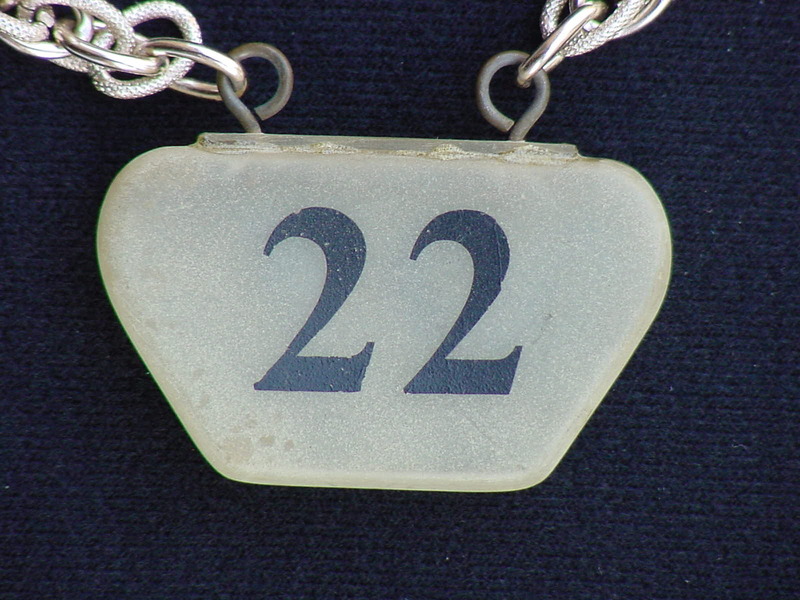 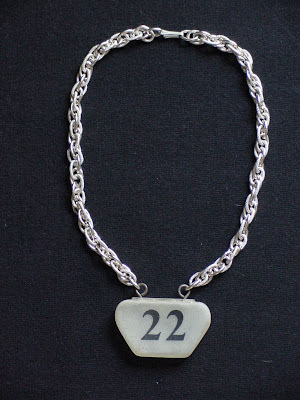 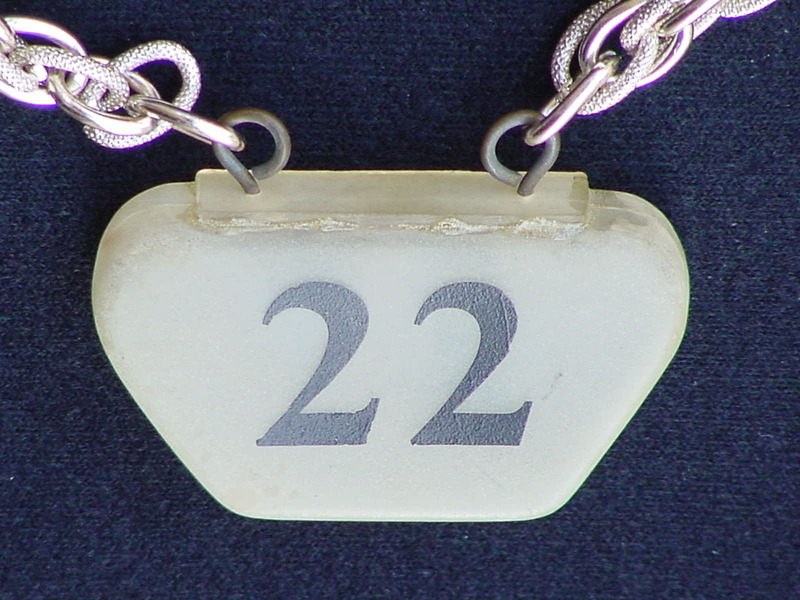 This prop was also created in a "hero" version which featured flashing lights in the white identification number module. At the bottom of this post are some episode screenshots that show the closeup appearance of both the working and non-functional versions. 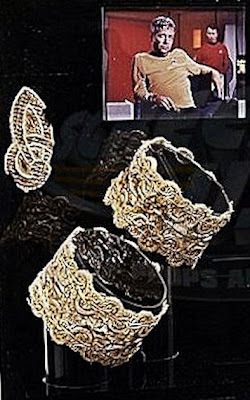 Star Trek: The Original Series Pain Collar from "The Gamesters of Triskelion"
Presented below are some detailed photos of a Triskelion Pain Collar prop used in the 2nd season TOS episode "The Gamesters Of Triskelion" (first airdate: Jan 5, 1968). 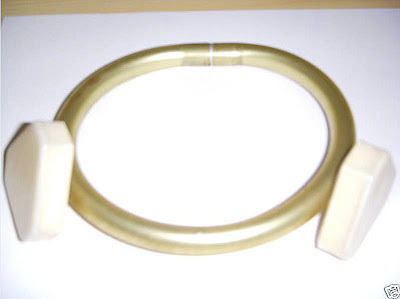 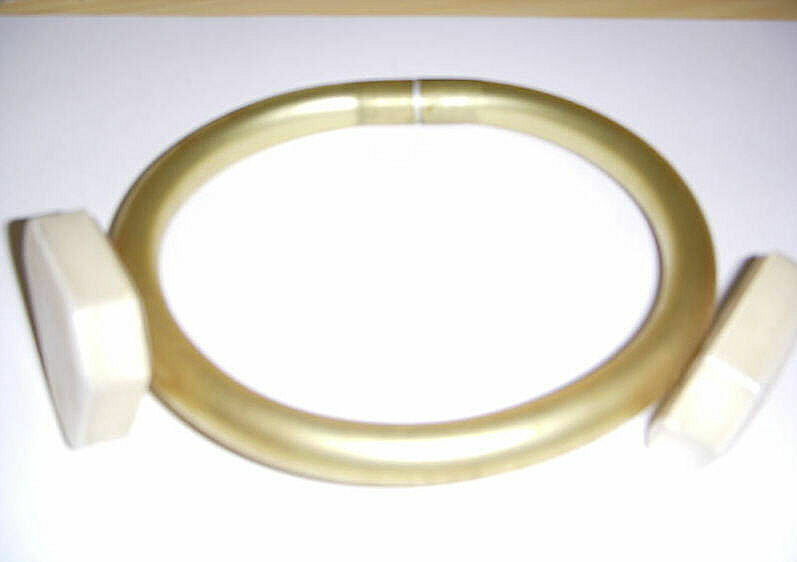 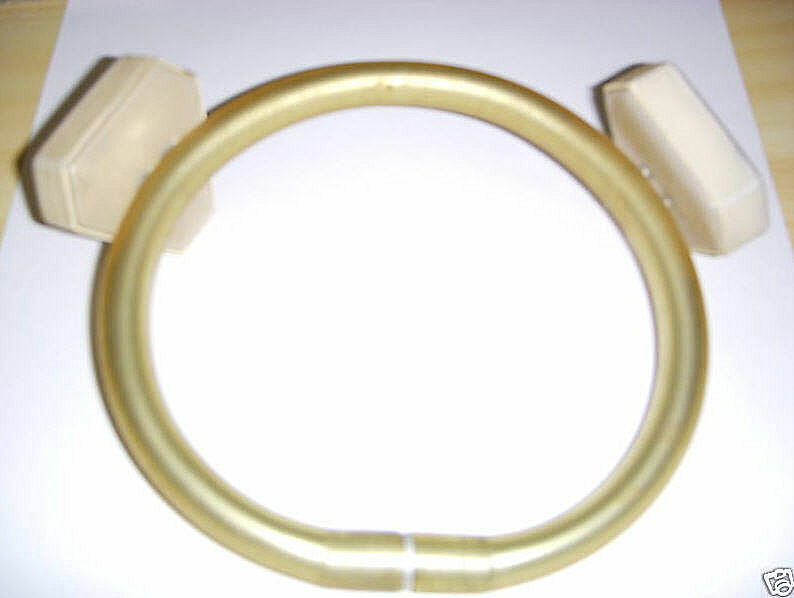 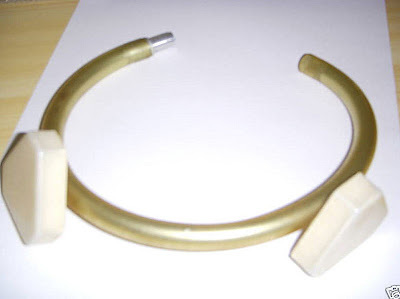 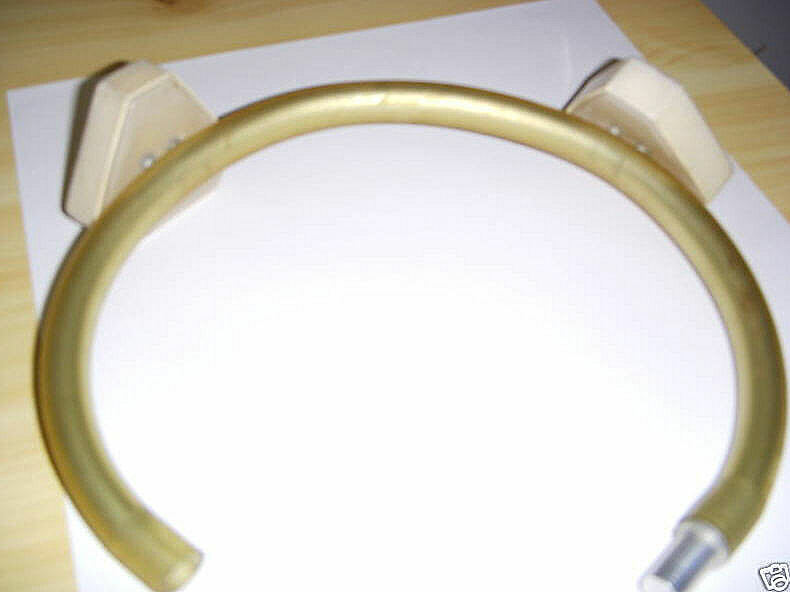 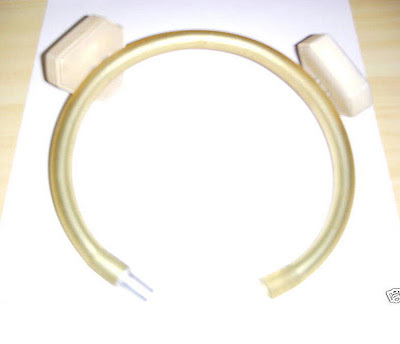 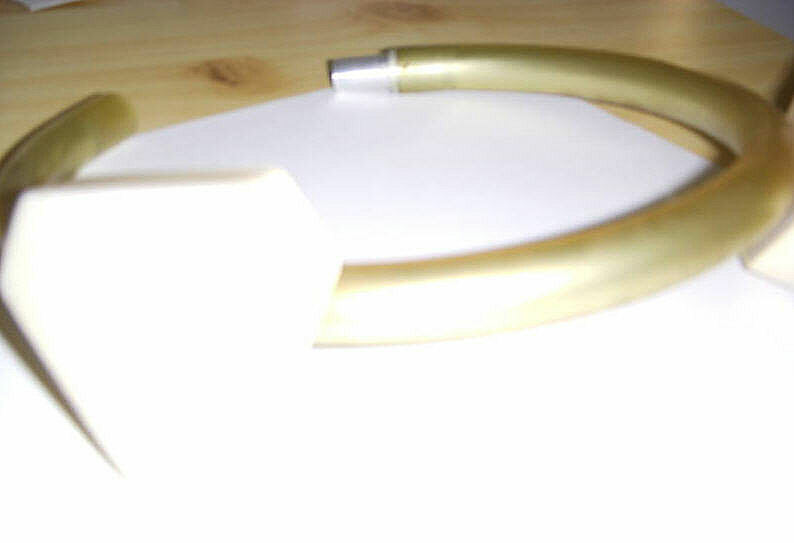 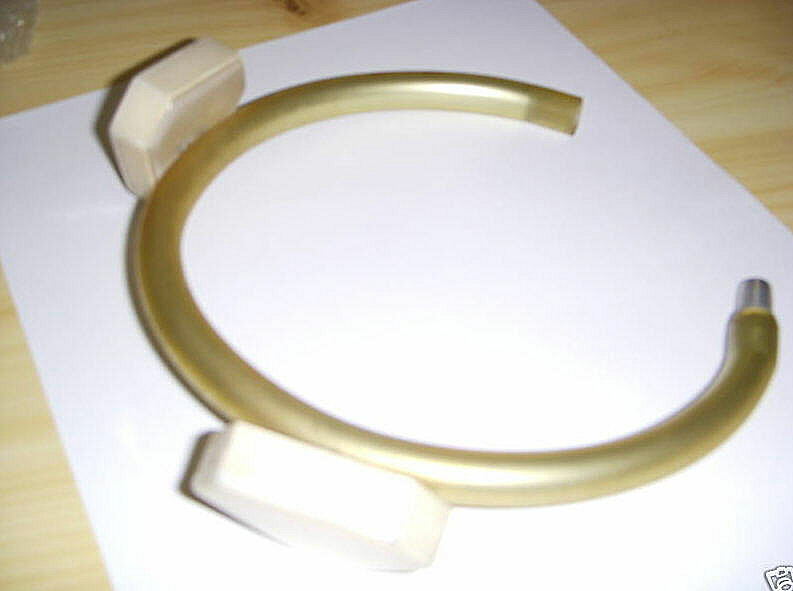 The clear plastic outer tube, which surrounds the smaller diameter silver colored inner surface, has severely yellowed over time, affecting the overall appearance of the collar. 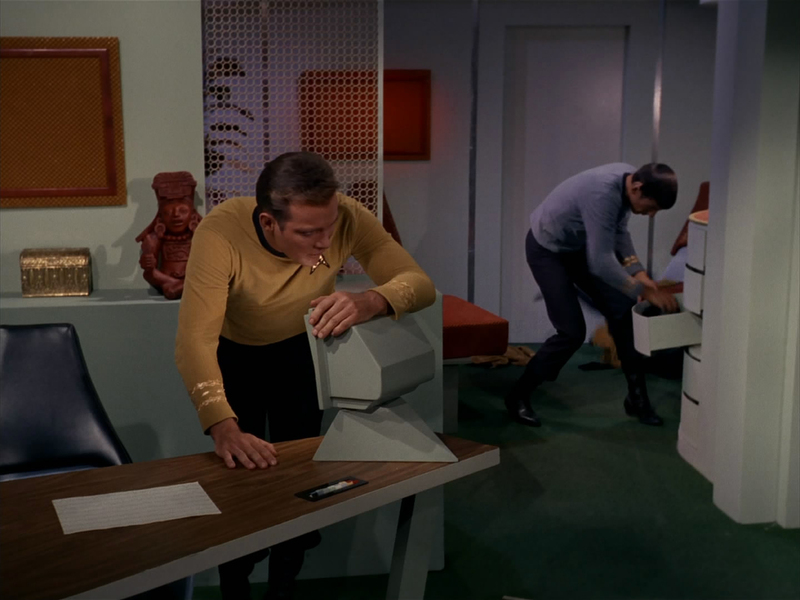 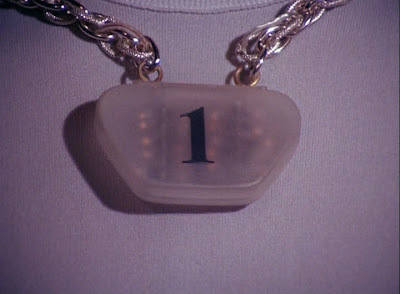 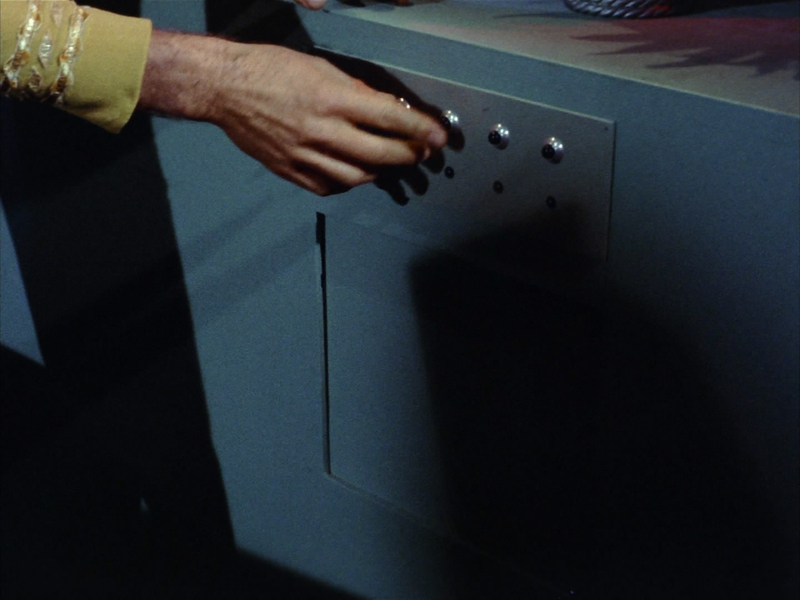 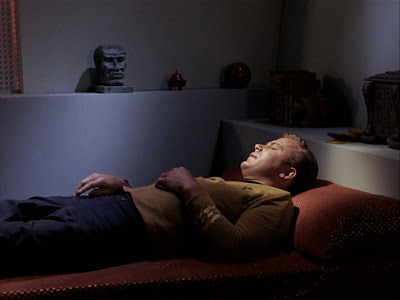 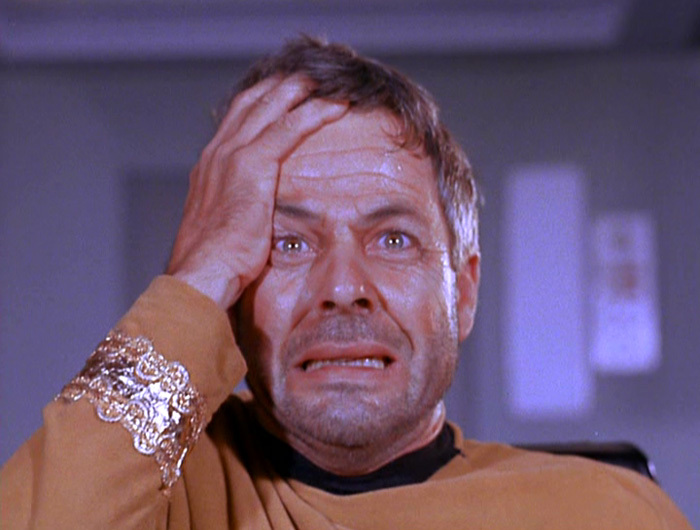 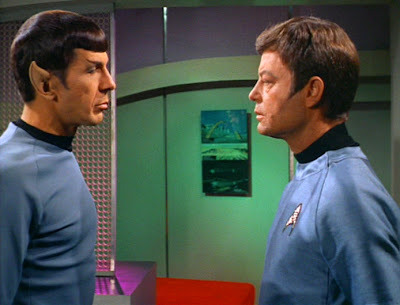 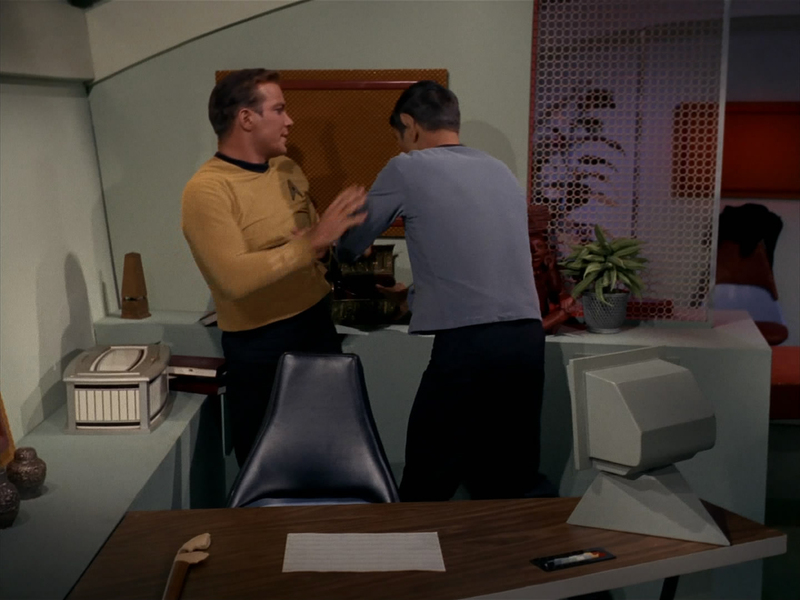 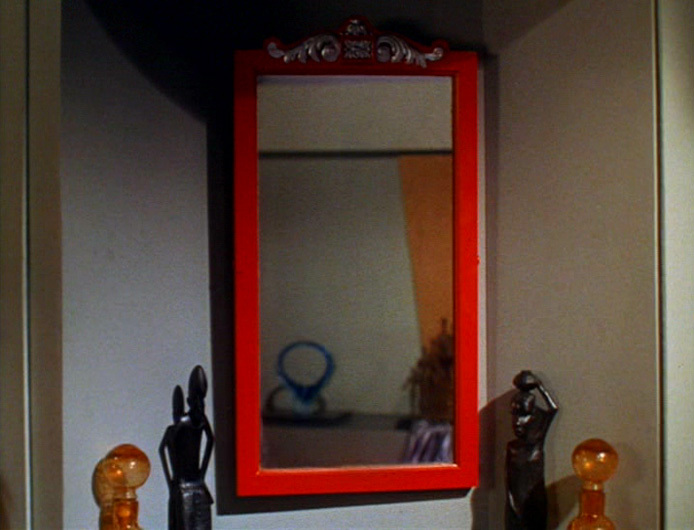 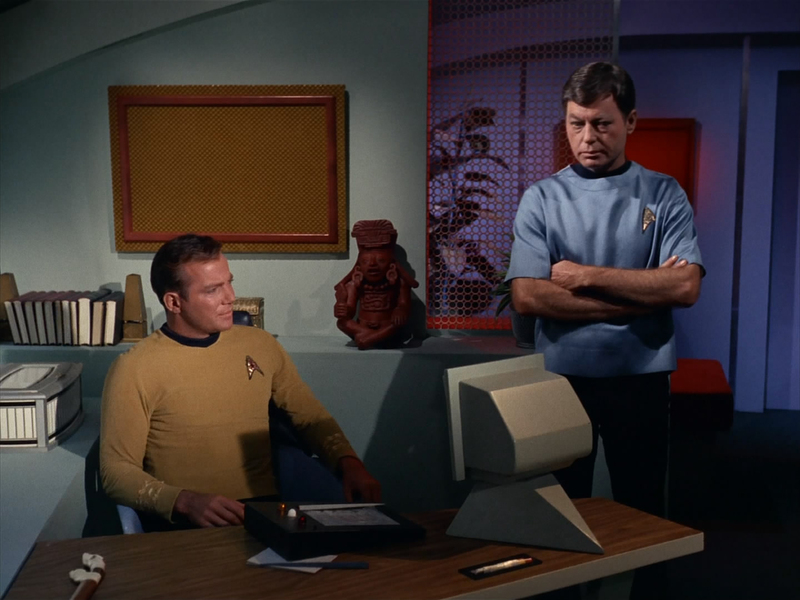 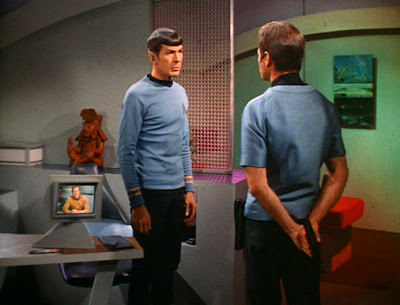 The final photo in this post - an episode screenshot featuring Captain Kirk wearing a pain collar - shows the original, pristine appearance of the prop. 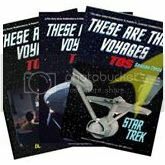 Many thanks to long-time Star Trek fan and collector Gordon in Pennsylvania for his kind permission to display these photos. 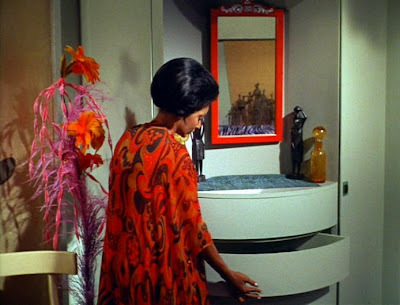 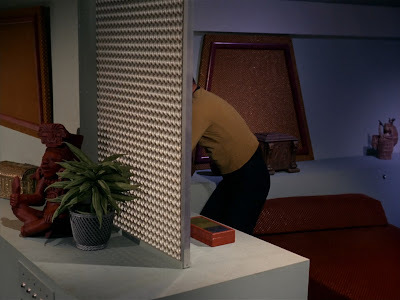 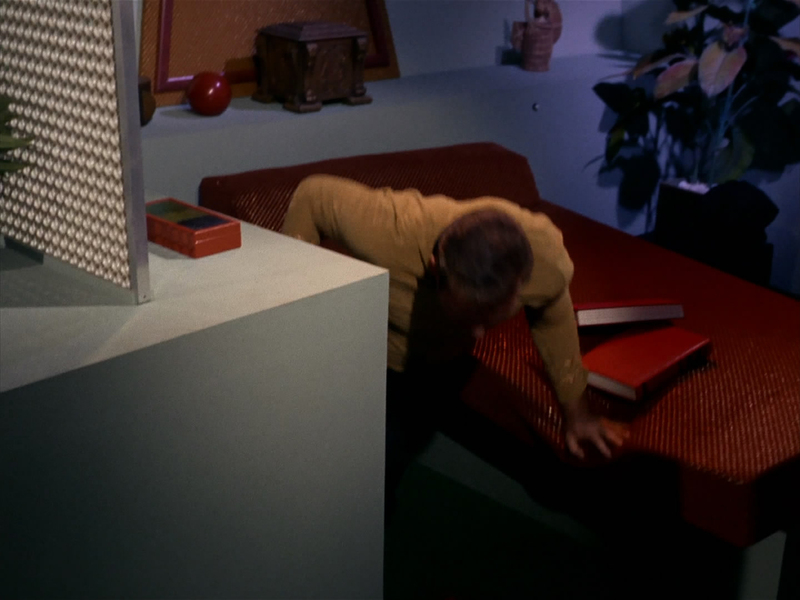 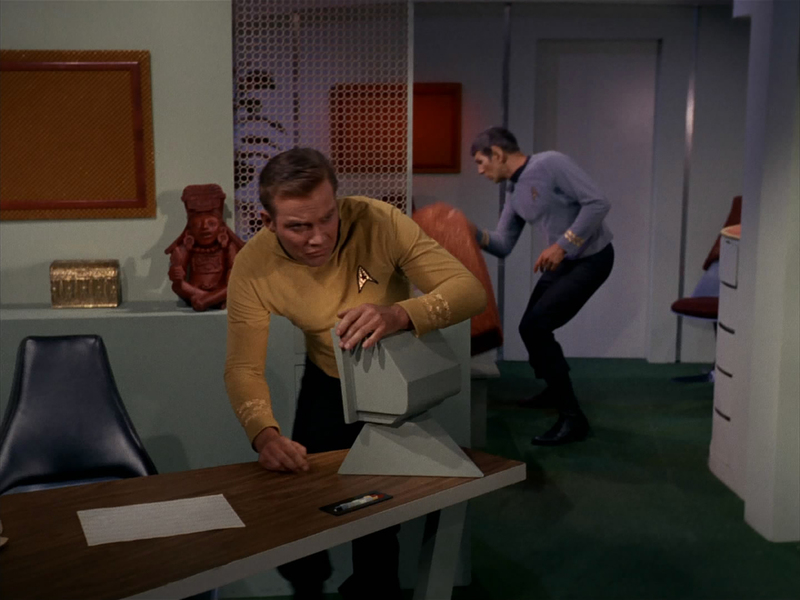 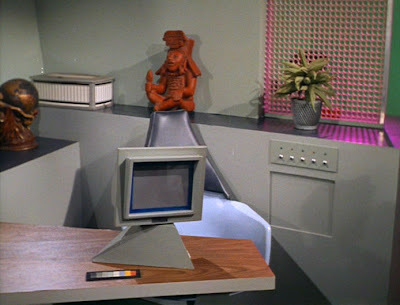 Presented below are several TOS episode screenshots that provide a good overview of the appearance of the Captain's Quarters aboard the U.S.S. 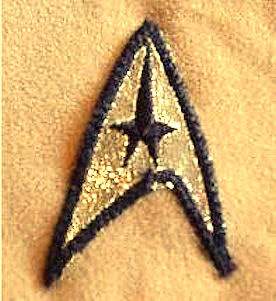 Enterprise NCC-1701. 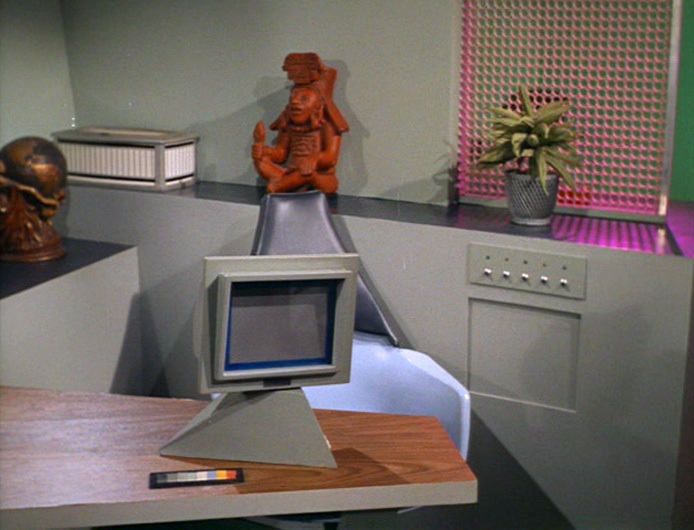 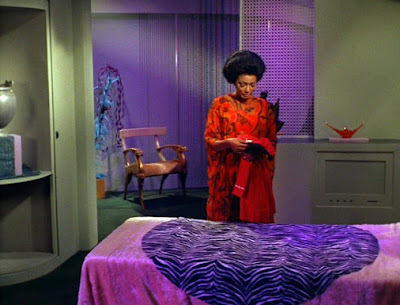 This set on the Desilu Studios Soundstage 9 was frequently redressed to accommodate the storyline of the episode being filmed and often served as the quarters for other officers and crew aboard ship, most notably Mr. Spock and Lt. Uhura.